The Athena Honey lamp has a beautiful new color combined with a large slotted top taken from Lampe Berger lamps produced in the 1970's. 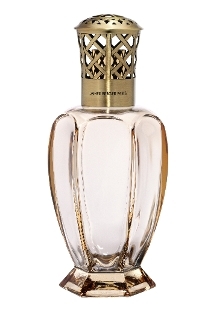 The Athena lamp form is one of Lampe Berger's most graceful. The lamp comes in a nice gift box with funnel, burner and instructions.